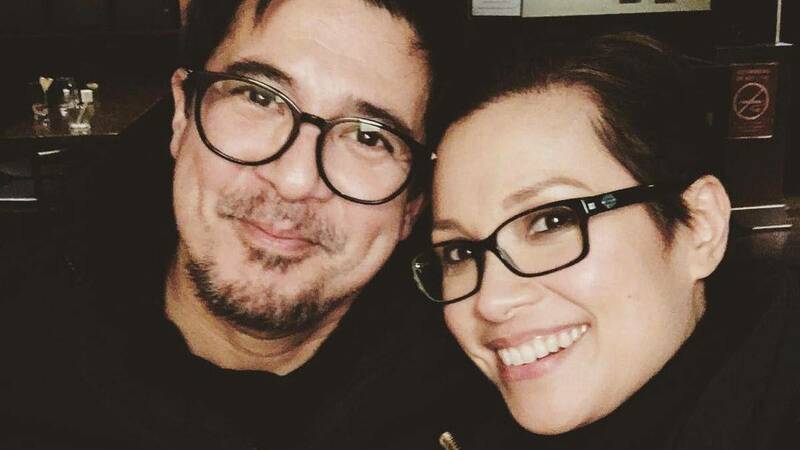 No discussion of '90s love teams is complete without talking about Aga Muhlach and Lea Salonga. The two starred in the hit movies Sana Maulit Muli (1995) and Bakit Labis Kitang Mahal (1992). Recently, the long-time friends met up in New York when Aga watched Lea's latest Broadway show Once On This Island. The on-screen couple looked just perfect together—twinning in black tops and rimmed glasses. They then shared a meal in Times Square with their spouses and families. But when will they be reunited on the big screen? In an interview with ABS-CBN, Aga was sure they would star in a new film together but couldn't give an exact date on when it would happen.